Cell Therapy Sciences is going from strength to strength as it offers stem cell therapy treatments to vets across the country after being established at the University of Warwick Science Park’s Venture Centre three years ago. 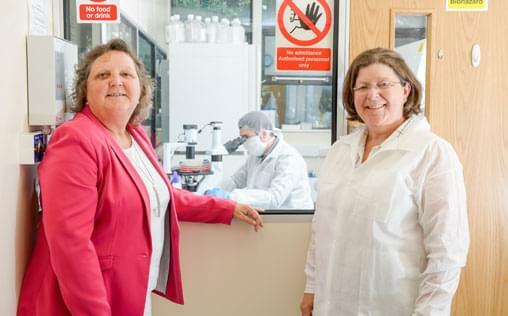 It is headed up by science director Dr Joanna Miller and clinical director Dr Christine Standen and works with veterinary practices throughout the UK using cutting edge technology. When it first began, Cell Therapy Sciences had 30 vets on board wanting to use its services, but over the years has built up a strong reputation and now there are more than 100 working with the team. Latest figures show that 95 per cent of dogs with arthritis that receive stem cell treatment see a clinical improvement in their condition and this has led to the company having to expand within the University of Warwick Science Park – extending its laboratory space and also taking extra office space. Dr Miller said: “Our work has been building up over the last three years and we now have a strong reputation within the veterinary industry. Cell Therapy Science provides a stem cell culture service to vet practices across the country, normally working mostly with dogs and horses to help alleviate conditions. The process sees vets take a small amount of fat from the animal, send it to the team, who then extract the stem cells. They normally start with less than a million and then grow them so that there are between 10 and 15 million cells in each treatment. The stem cells are then frozen in liquid nitrogen and saved until the vet wants to carry out the treatment. They are then shipped out to vets and injected into the animal. Cell Therapy Sciences is an authorised stem cell culture laboratory with the Veterinary Medicines Directorate (VMD) to ensure that every therapy is produced to the highest standards and quality. Those high standards have also seen the business strengthen its links with the University of Warwick by working with University of Warwick PHD students. 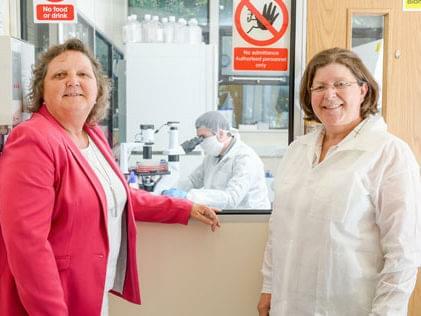 Karen Aston, centre manager at the Venture Centre, said: “It is fantastic to see that Cell Therapy Science is flourishing – not just within the University of Warwick Science Park, but also within the industry. “The team has worked hard to establish themselves and provide a service that has seen them become a reputable name within their field. “Here at the Venture Centre we strive to be a supportive environment for businesses, where they can grow and develop and that is certainly something that Cell Therapy Sciences has done.